A reprise of 2017’s popular special project! In 1742, composer J.S. Bach completed the second volume of the "Well-Tempered Clavier" (know among pianists simply as “the WTC), a compendium of forty-eight preludes and fugues in every major and minor key. The music is beautiful, and runs the gamut of Baroque styles, from lively to stately French overtures to thick counterpoint. 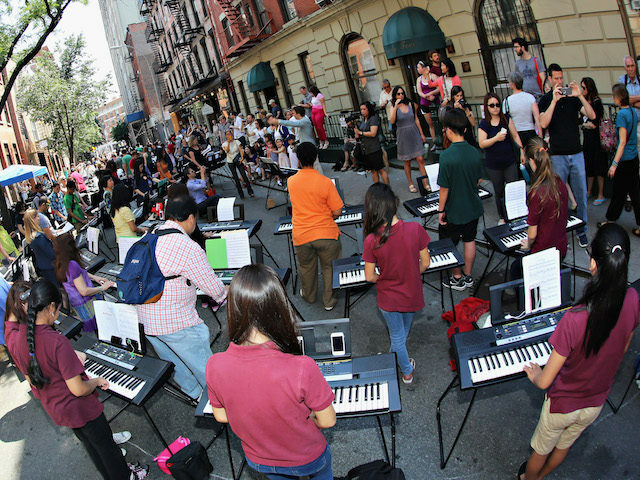 As part of Make Music New York’s 12th annual music holiday, four grand pianos will be placed on the corners of the 9/11 Memorial plaza to allow for three continuous hours of performances by a rotating cast of dozens of pianists of all skill levels. Presented in partnership with the National September 11 Memorial & Museum. Generously supported by PianoPiano.